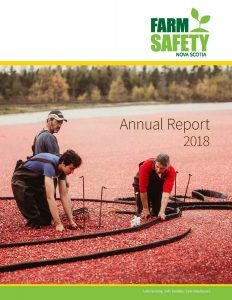 Annual Meeting – Farm Safety Nova Scotia – Safe Farming. Safe Families. Safe Employees. If you are registered for the NSFA AGM, you are automatically registered for the FSNS Annual Meeting. If you would like to register for the FSNS Annual Meeting separately please contact us or register online. In an industry that relies heavily on outside factors that are often unpredictable – such as weather – farmers face high levels of occupational stress, the cause of which is often beyond their control. As a veterinarian and associate professor of Epidemiology in the Department of Population Medicine at the Ontario Veterinary College, Dr. Andria Jones-Bitton noticed many farmers struggling with their mental health and realized the need to explore this further. The Ontario Veterinary College is located at the University of Guelph in Ontario, here, her research is largely centred around the epidemiology of mental health and resilience in the agricultural and veterinary sectors. Epidemiology is a branch of medicine that deals with the incidence, distribution and possible control of diseases and other factors relating to health. 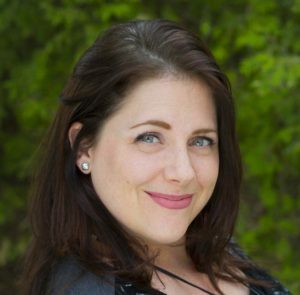 Dr. Jones-Bitton uses a mixed research methods approach, meaning she uses both quantitative and qualitative methods to achieve her research objectives. Just recently she conducted a national survey among Canadian farmers on mental health, where she received an overwhelming response. These results show that farmers experience higher levels of mental stress and distress than other occupations. After analyzing the results of her research, Dr. Jones-Bitton and her team worked diligently to develop a mental health literacy training program called “In the Know” that is specific to the agricultural community – which is being piloted this fall! Passionate about Canadian agriculture and the veterinary profession, she is eager to share her findings and to tell the story of the “human side of farming”. Join Farm Safety Nova Scotia as they welcome Dr. Andria Jones-Bitton, who will update us on her research, new programs, and provide us with strategies to ensure we take care of ourselves and each other in this challenging industry. Click here to view a copy of the 2017 Annual Report. Click here to view a copy of the 2016 Annual Report.